Stefan Maat specializes in science. He holds master’s and doctoral degrees in physics and has more than 70 issued or pending patents before the U.S. Patent and Trademark office in the field of magnetic sensors and storage technology. But even as a specialist who was well-entrenched in the sciences, Stefan recognized the value of a functional business education. Those finance and marketing courses are part of the WSU online MBA program, which Stefan began in August of 2012. At the time, he had already built an extensive network of contacts in science and engineering. However, the Carson College of Business presented him with the opportunity to expand that network considerably. 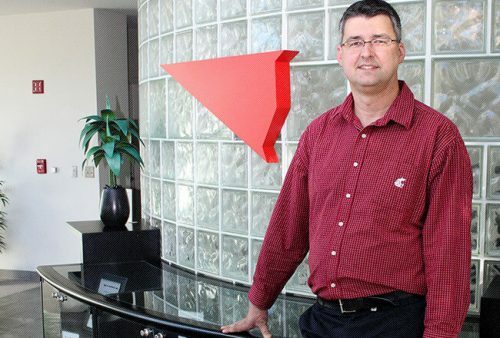 Since enrolling in the online MBA program, Stefan has developed a profound sense of belonging to the WSU family. Stefan has a healthy appreciation for the fact that, today, all business is global business. Hearing Stefan talk about the education he received, it’s no surprise that he’s such an enthusiastic ambassador for the program. “I can warmly recommend the WSU online MBA program to future prospective students. Besides getting and excellent education in business it is a wonderful experience to build on personally and professionally,” he says.